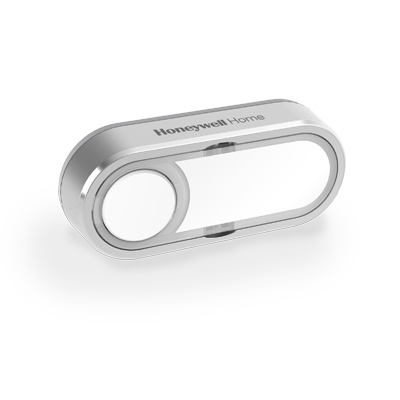 Simple, reliable and hassle-free, the Honeywell Home DC313NGA doorbell comes with adjustable volume to suit your mood, and a LED strobe for added visual alerts. And thanks to Honeywell Home ActivLink™ technology providing a reliable wireless connection, you know the doorbell will always work. Easily adjust the volume to suit your family and mood, or when you simply want some quiet time. The LED Strobe provides a discreet but effective visual alert which complements your chosen melody in loud environments, or helps to alert you when the doorbell can't be heard. I want to be informed if someone is approching my front door or entering my driveway. What Honeywell doorbell kits are suitable? 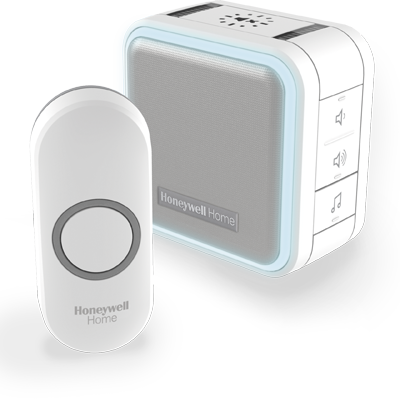 Honeywell Home offers Early Alert Kits, which come with a wireless doorbell, a wireless push button, and a wireless external motion sensor, which are all pre-linked in the box. Anyone approaching your driveway or front door will trigger the sensor, and in turn cause the doorbell to emit an alert sound. 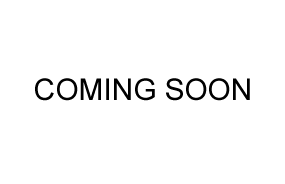 The product codes for these kits are either DC313xEA or DC915xEA. Product availability may differ from country to country. 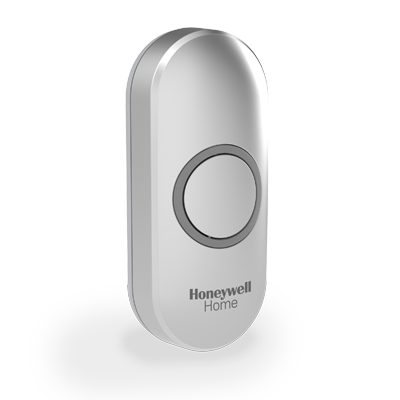 Alternatively, Honeywell Home offers a wireless external PIR (Passive Infra-Red ) L430x motion sensor that can be linked to your existing Honeywell Home wireless doorbell , and this can also be configured to provide an alert sound. I want to be informed if my front door is opened by my child or elderly relative. 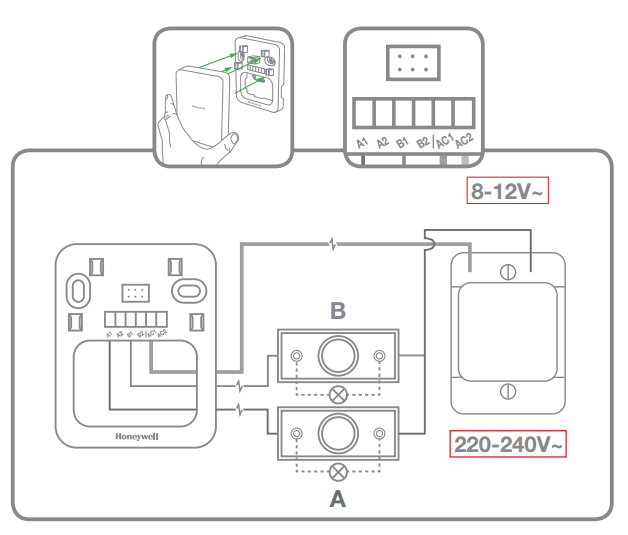 What Honeywell doorbell kits are suitable? 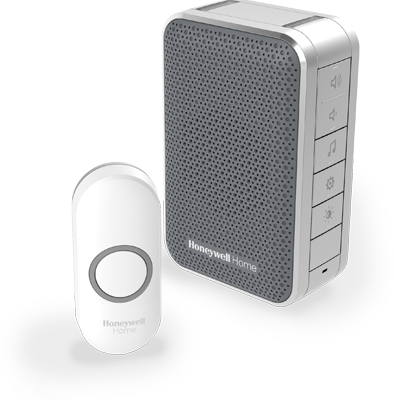 Honeywell Home offers Door Entry Kits, which come with a wireless doorbell, a wireless push button, and a wireless door and window sensor, which are all pre-linked in the box. Opening the door will trigger the sensor, and in turn cause the doorbell to emit an alert sound. The product codes for these kits are either DC313xDE or DC915xDE. Product availability may differ from country to country. 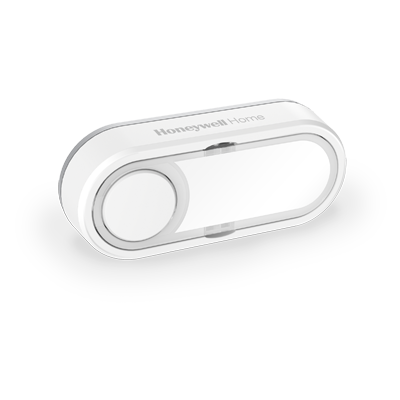 Alternatively, Honeywell Home offers a wireless door and window sensor HS3MAG1x (Single Pack) / HS3MAG2x (Twin Pack) that can be linked to your existing Honeywell Home wireless doorbell, and this can also be configured to provide an alert sound. How do I perform a factory reset? 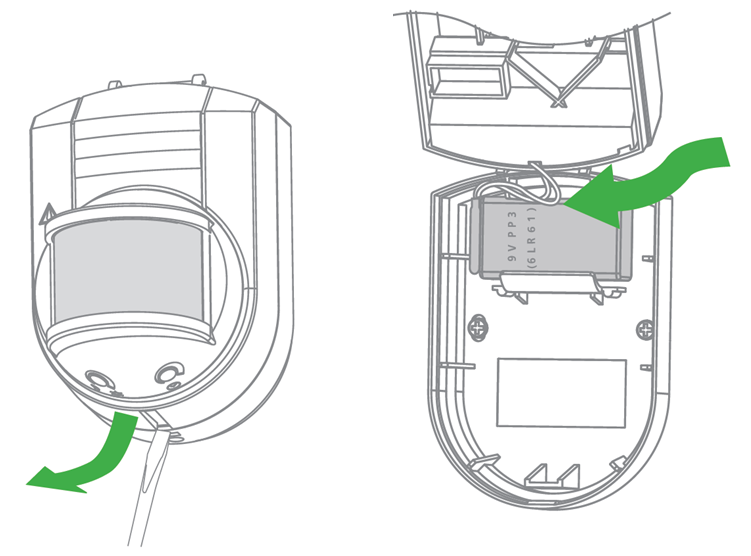 To perform a factory reset, remove one battery (or turn off the power to a plug-in doorbell). 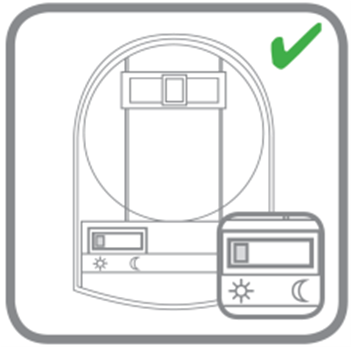 Press and hold the settings button whilst replacing the battery (or turning on the power). An Amber light will flash, either from the small LED indicator on the side of the doorbell, or from the Halo Light (Depending on product type). After this, you'll have to re-link your push button or other devices such as wireless motion sensors and/or wireless door and window sensors.